The Ramayana has been described as the greatest epic in world history. The story tells of Rama, an exiled prince, whose wife is abducted by a demon and his struggles to recover her, aided by Hanuman, servant to the King of the Monkeys. 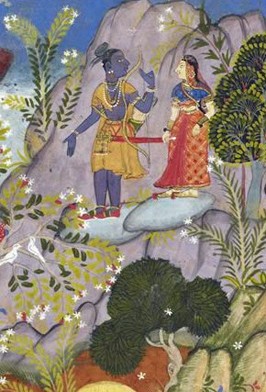 Ramayana is breathtaking in its scope, and filled with dazzling imagery. At the same time, it is as intimate and accessible as a fairy tale. Throughout the story, characters respond to choices of right and wrong, good and evil, in metaphors that reflect the mind of the listener. Ramayana opens a window to the world and culture of India. Schools and theaters interested in the Ramayana should call to discuss various options for presenting this amazing story.